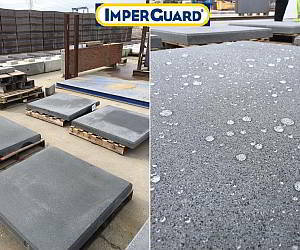 ImperGuard® is a high-performance penetrating water based sealer that makes porous surfaces highly water repellent. 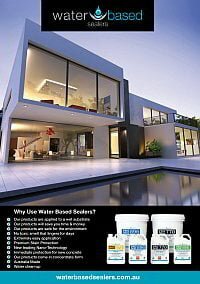 The hydrophobic nature of the sealer causes water to bead and run off rather than soak into the surface. This sealer does not form a film and therefore is completely invisible and highly breathable. By repelling water ImperGuard® provides protection against dampness, acid rain, erosion, freeze/thaw cycle, erosion moss and lichen growth, and efflorescence. 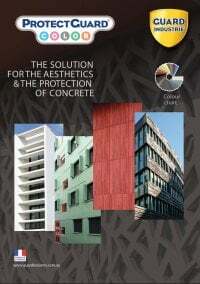 As such it is a cost-effective solution for protecting walls, and tiled roofs. It has a 5-year service life is such applications. 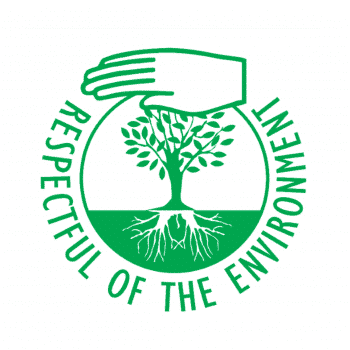 ImperGuard® is a water-based product that is non-toxic and safe to use. It can be cleaned up easily with water before it dries. 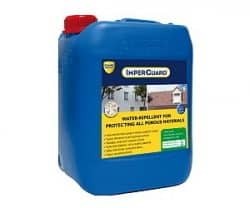 ImperGuard® is a high performance water repellent product for protecting porous walls, facades and roofs from humidity. ImperGuard® penetrates deeply into the pores of the material to make it impermeable to water and so prevent the harmful eﬀects of humidity: infiltrations, acid rain, erosion, freeze / thaw cycle, moss and lichen growth, efflorescence, saltpetre, etc. The chemical composition of the solution also enables it to perform as well as a solvent-phase product. 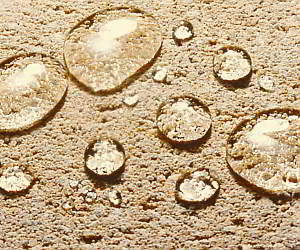 The water-repellent properties of ImperGuard® are therefore developed very quickly (within a few hours to 3 days). 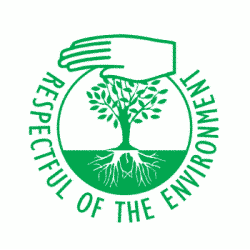 ImperGuard® also has an anti dusting action and hardens the surface of materials. ImperGuard® is a penetrating, non-film-forming product. The substrate remains permeable to air and water vapour. Water will bead off treated surfaces, but moisture in the substrate can still escape as water vapour. Completely colourless after application, it modifies neither the appearance nor the nature of the treated material. In addition, it is completely resistant to UV light and does not yellow with age. 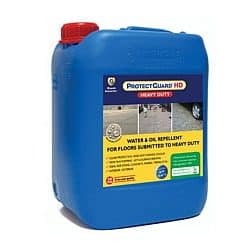 If you also need protection against oils, stains and/or graffiti consider upgrading to ProtectGuard or ProtectGuard HD. 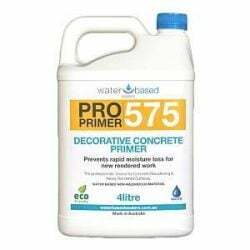 Limits the development of efflorescence. Limits moss and lichen growth. Non-film-forming – allows substrate to breathe. UV-resistant – does not yellow. Ready and easy to use. 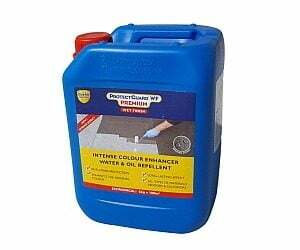 Non corrosive and non ﬂammable. 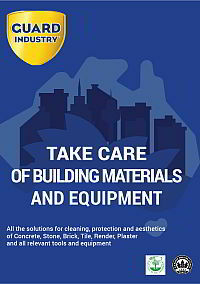 ImperGuard® is used for new works or refurbishment. Apply the product to a surface that is clean, dust-free, grease-free and dry. 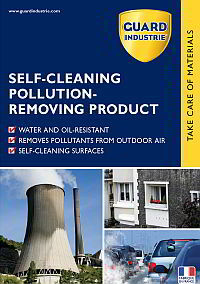 To remove stains and marks of pollution use Guard Cleaner® Polluted Facades or Guard Wash®. 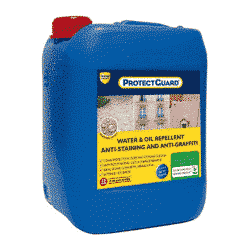 For efflorescence, laitance or concrete bloom use Guard Remover® Eco Eforescence & Cement. Shake the product well before use. Always carry out a preliminary test. 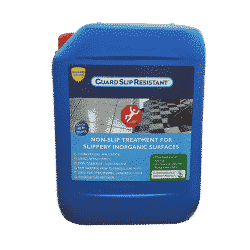 The treated surface should be impregnated to saturation point, either in one application or in two applications ‘wet-on-wet’. 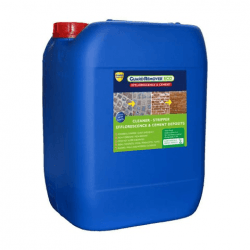 Do not overcharge the substrate – remove all excess before it dries. Risk of white stains in case of excess. Respiratory protection : Under normal conditions of use where adequate ventilation is available, no special respiratory protection equipment is needed. Hand protection : Wear latex gloves. Skin protection : No special protective clothing or skin protection is required under normal conditions of use. Eye protection : If there is a real risk of splashing, wear protective goggles. If swallowed : Do not induce vomiting. Contact a doctor or a specialist.